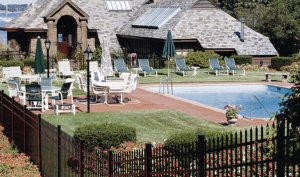 Clinton Fence uses only premiere aluminum fencing for both commercial and residential fences. 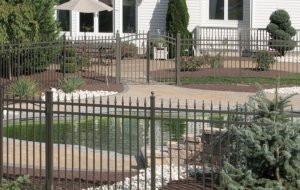 WHY BUY AN ALUMINUM FENCE IN SOUTHERN MARYLAND? 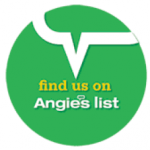 You may feel that you cannot afford to get high-quality fencing for your home. Fret no more, because aluminum fences come in 4 grades, to suit all budgets. 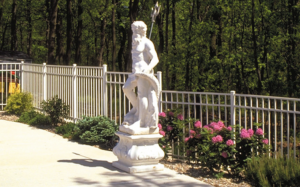 Not only are aluminum fences affordable, they are also hassle- and headache-free, as they do not need repainting or maintenance, do not rust or stain, and will give you a sturdy and affordable fence for your property in Southern MD. Aluminum fences give you a wide range of choices, cost little to install and are virtually cost-free after installation. 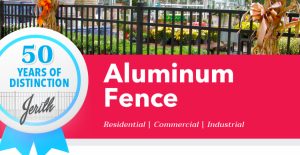 Call Clinton Fence for a FREE estimate on an aluminum fence for your home.